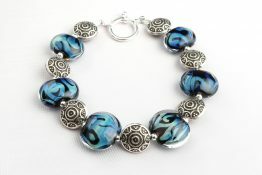 I love making these beads! 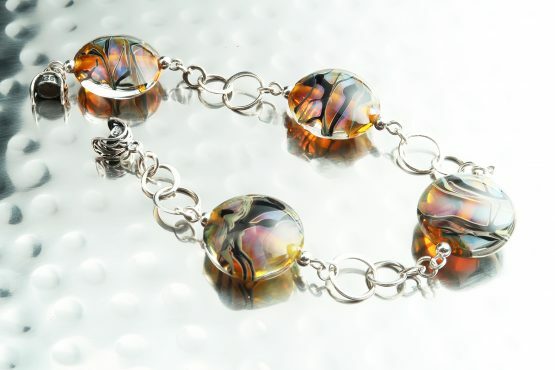 Dreamy hues of plum, amber and rose are criss-crossed with ebony spider legs. 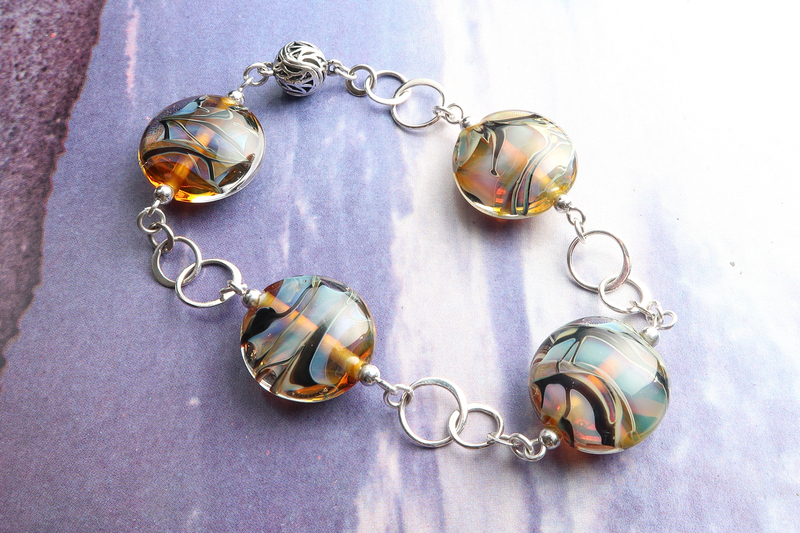 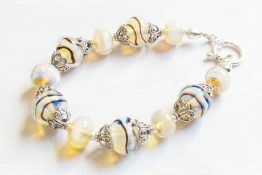 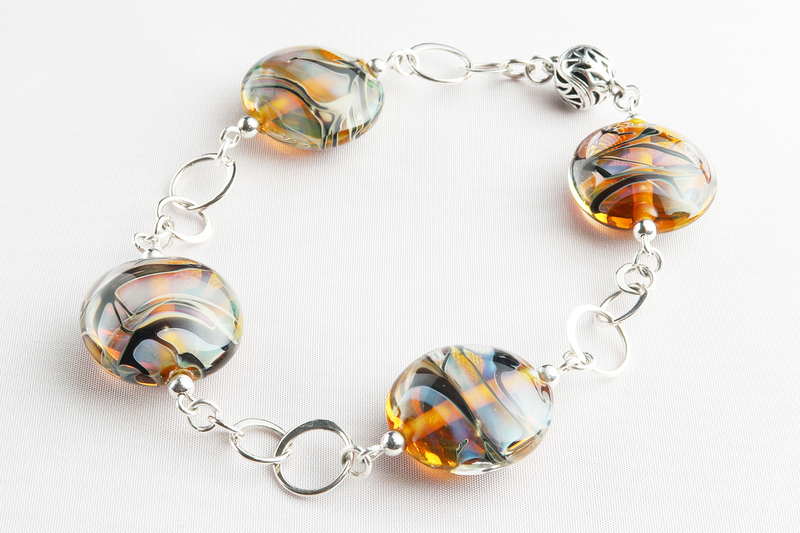 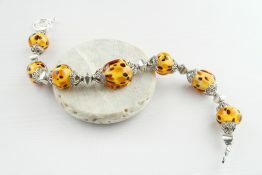 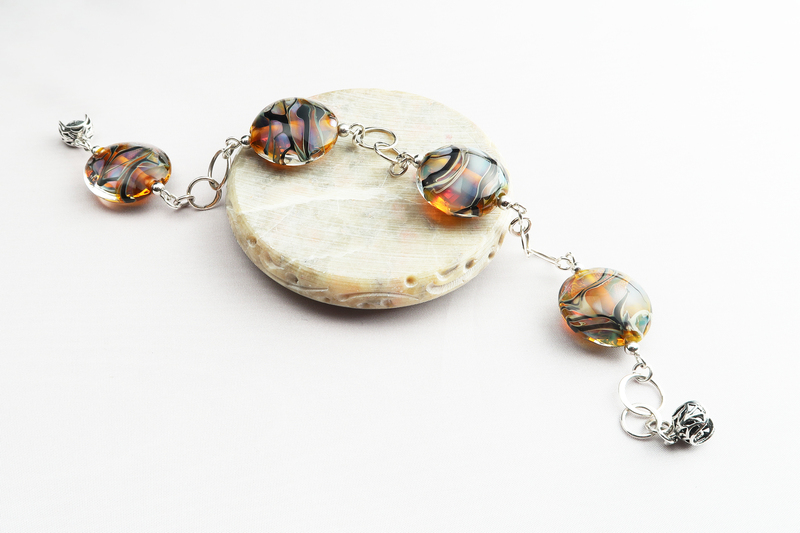 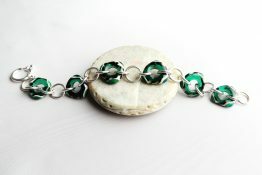 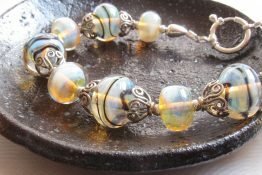 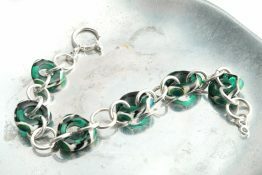 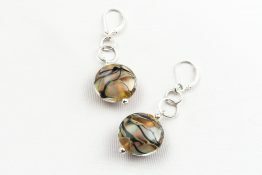 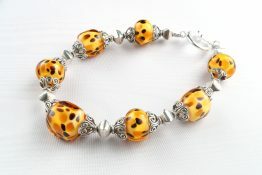 The translucent beads change with light and the lightweight bracelet design is finished with a filigreed magnetic clasp. 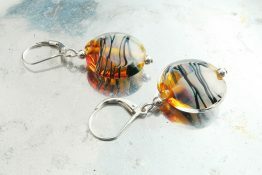 Please note that back orders will be custom made to order. 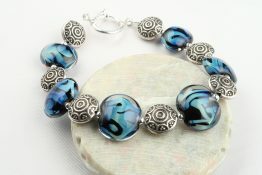 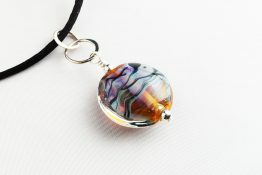 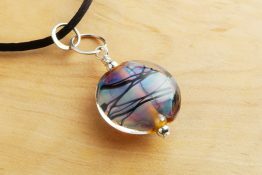 I will make every effort to match the design, but due to the types of glass and techniques used in this bead your piece will be different!